BEVERLY HILLS, CA - AUGUST 2013: Actor Terry Crews speaks onstage during the Brooklyn NINE-NINE panel discussion at the FOX portion of the 2013 Summer Television Critics Association tour. Crews recently opened up about being groped by a powerful Hollywood agent at a party last year. 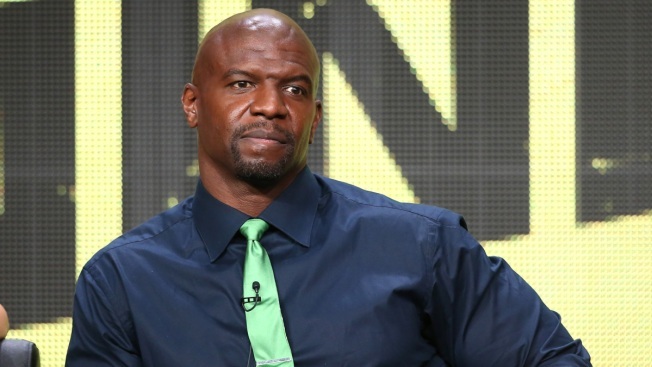 Terry Crews names his alleged attacker and compares being sexually assaulted to being a prisoner of war in an appearance Wednesday on "Good Morning America." Crews tells host Michael Strahan that he "never felt more emasculated" than when a powerful Hollywood agent groped him at a party last year and that the sexual harassment allegations against Harvey Weinstein triggered an episode of post-traumatic stress. Crews confirmed that he recently filed a police report against a top agent at William Morris Endeavor. A message seeking comment from the agency was not immediately returned Wednesday. The star of TV's "Brooklyn Nine-Nine" says he felt empowered to share his experience after so many women came forward with allegations against Weinstein.